When my mom and I were getting ready for our garage sale, she found this great big cookie jar and asked if I wanted it. She knew I was cleaning out and re-organizing my craft room. 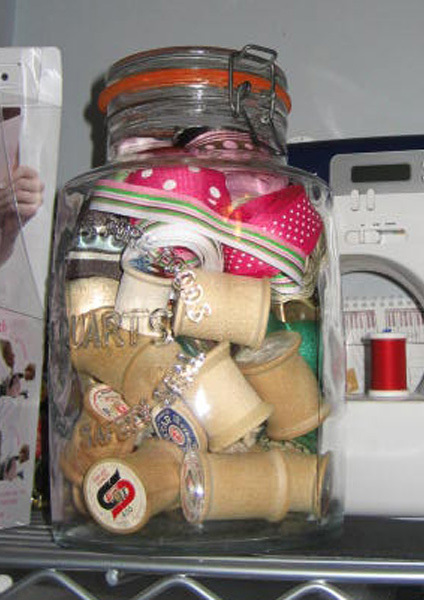 This jar is big enough to hold wooden spools that I have for a future project and ribbon that is a couple feet long, but doesn’t need to be on the holder, taking up valuable room. It makes me happy to walk into my craft room and see it perched in front of my sewing machine, which comes down for projects.